The Skoda Superb has received the highest-possible rating from vehicle safety assessment body Euro-NCAP. Motorists will be safe in the vehicle, the group asserts, as it features seven airbags and also specially-developed front seats designed to reduce any cervical spine damage which could occur in a collision. Additional safety advancements come in the form of two additional airbags which drivers can pick up - perhaps to preserve their car insurance policies - as well as an adaptive front lighting system. Skoda auto board member Dr Eckhard Scholz remarked that the development of the car has been with "maximum" safety in mind for occupants. He added: "The Euro-NCAP results confirm that we have managed to produce a top-quality vehicle in terms of performance, user comfort, as well as safety, one of the key aspects from the customer's perspective." 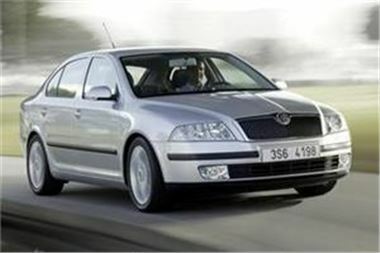 The Skoda Superb entered production in 2001 and, although slightly longer, is based on a similar platform to the Volkswagen Passat. To find out what Honest John has to say about buying at auction, check here.